Driving down the long steep Creighton Hill to Sycamore Valley, thoughts of years gone by began to creep into the mind. At the bottom of the hill in a beautiful tree-filled valley sat the little town of Sycamore Valley, Ohio. Located in Monroe County, this small town has a rich history centered around their meeting place, Morrison’s General Store. We have no quarrel with those who sell for less They know what their merchandise is worth. Even though there was a gas light at the entrance, inside the store was dark and gloomy cheered only by the friendly folks of the Valley. Many remembered coming to the store two or three times a week to get everything they needed for their family. No matter if you needed eggs and cheese or nuts and bolts, this was the original one-stop shopping center. One man said he came from the age of three to the store where his mother met with some other ladies for quilting. 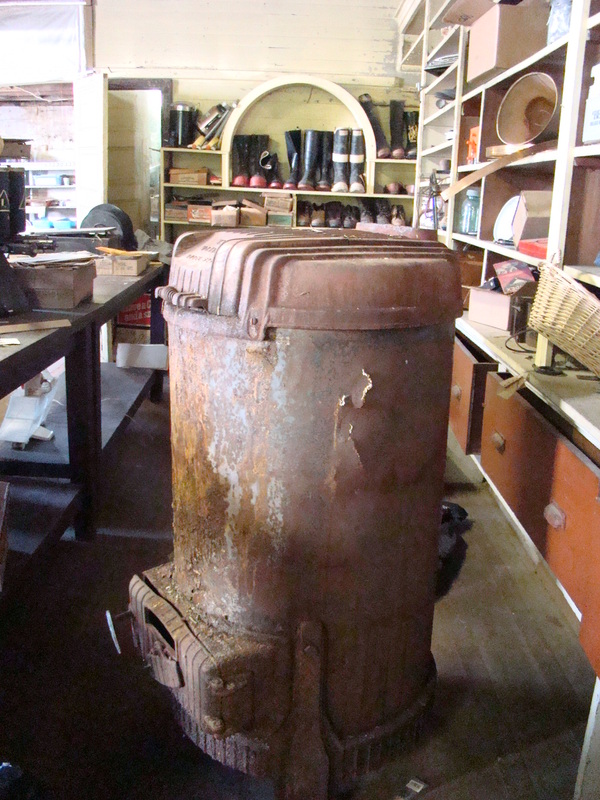 This was a time when folks would gather around the old Warm Morning wood stove, prop up their feet and share the latest Valley news. The store here in Sycamore Valley also served as a one-pump Ashland gas station as well as the post office, which served over 100 addresses at its peak. Inside you can still see the post office boxes where mail was kept for pick-up. 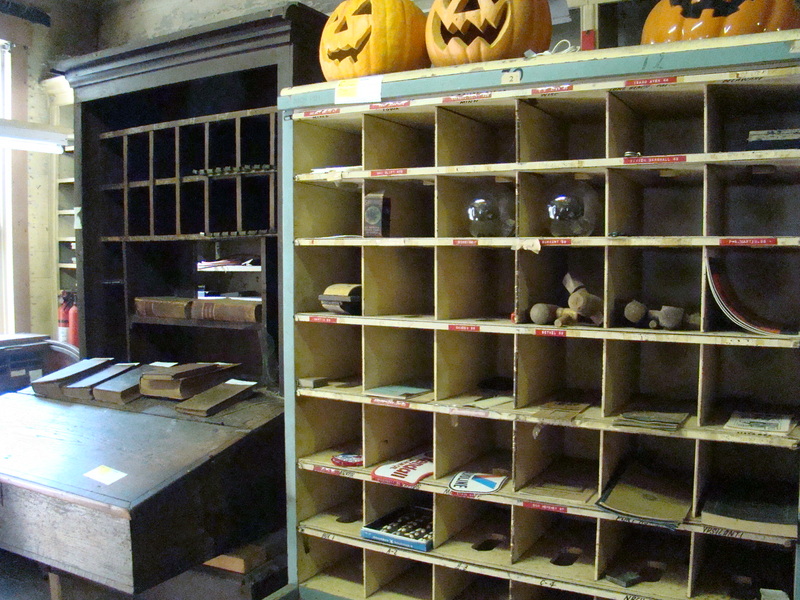 While there Morris, the last postmaster, told about his 34 years running the post office. Morris’ dad owned the store previous to that time. Times were rough in the Valley and keeping the store open was a difficult encounter during the best of times. Finally, the store was closed but the post office continued for several more years. 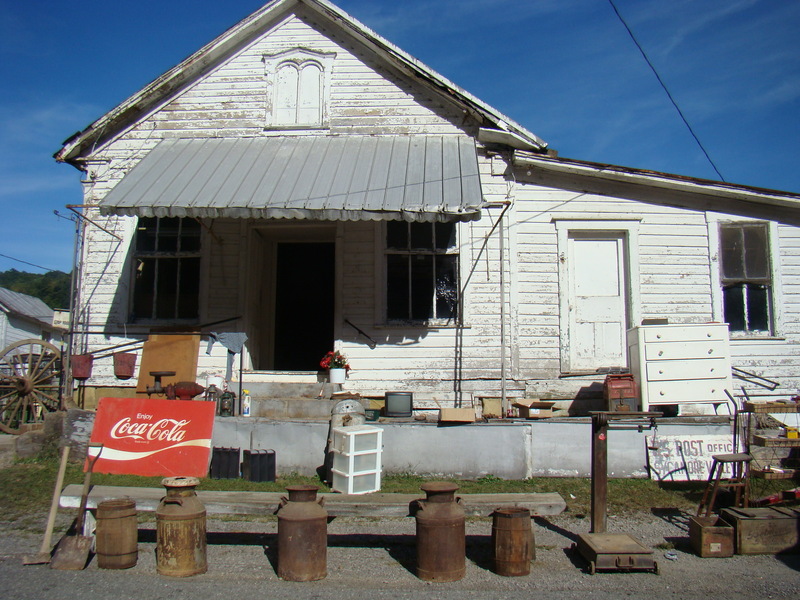 Morris did sell candy, pop and a few small items until it finally closed in 2008 when the government shut down many small post offices. 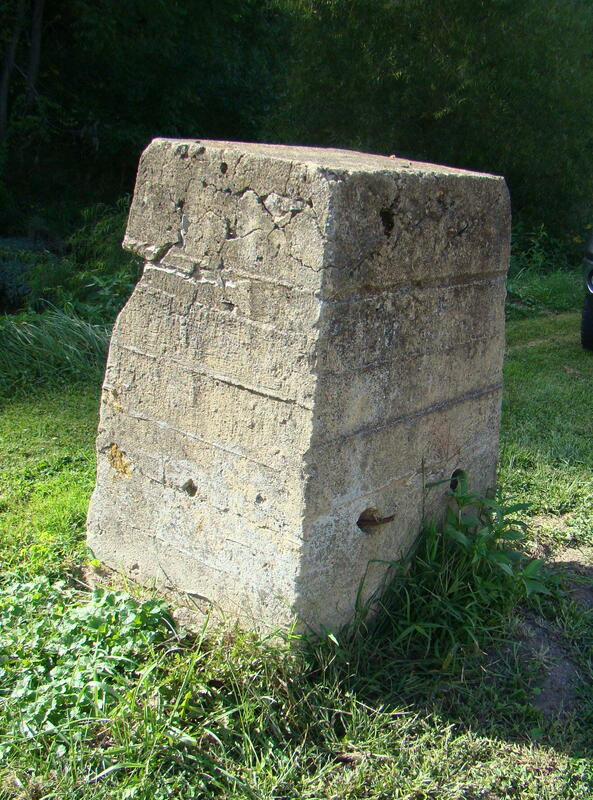 Across the narrow road, this concrete marker was the vertical support for a bridge that went across the creek. The store owner kept his cattle on the other side of the little creek and the bridge was firectly across the road in front of the store door. Leaving Sycamore Valley, long time residents of the area told stories about going back up the steep Creighton Hill to the ridge top. When someone was wanting to buy a car back even in the early days, Creighton Hill was the test site. If it could make it up the hill, then the car was worthy of being purchased. The speed with which it climbed the hill determined its price! This was one of the original test strips for automobiles. At times it is interesting to explore what used to be, but we are certainly lucky to have the improvements that we have today – electricity and indoor plumbing come instantly to mind. 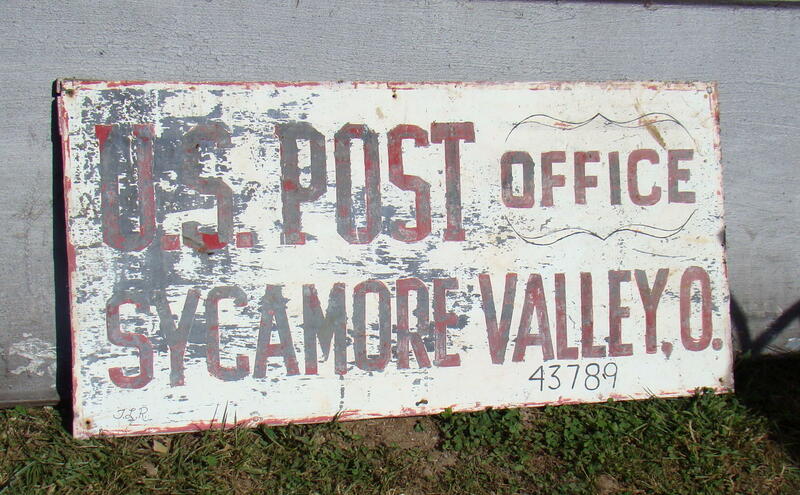 Sycamore Valley can be found in Southeastern Ohio on the perfect Gypsy Road Trip. After leaving I-77 in Ohio at exit 25, you will enjoy a scenic route of twists and turns. Better get out your road map or GPS (if it can get a signal) to find the way. What an interesting tale from the past and a picture of life back then. It’s sad to see old special places disappear from our landscape. There seems to be a little piece of history around every bend. It’s always interesting to take a step back in time for me. Thanks for stopping by! Thanks for this reminder. It brings back memories for me… of a number of stores like that, that I got to know in my youth. 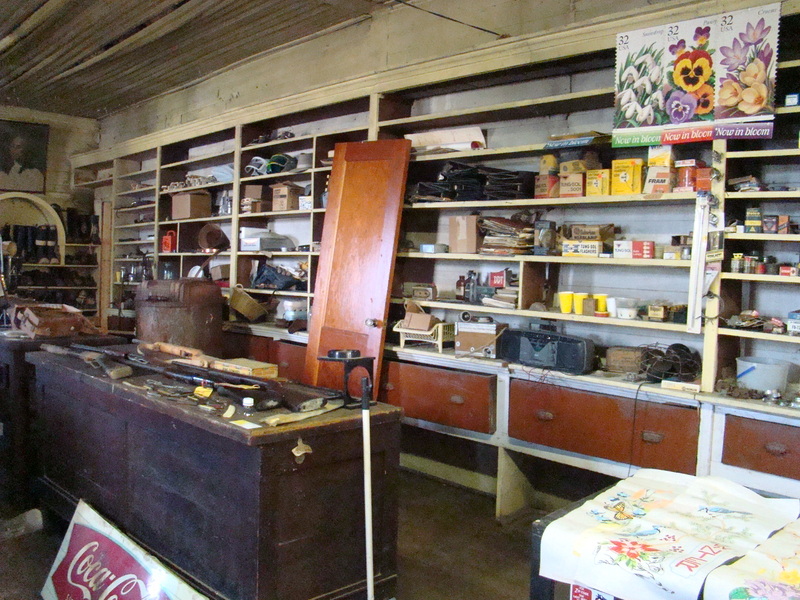 My grandfather had a store much like this one and I used to help him when I was a child. So there were lots of happy memories here for me as well. Virginia, Serena lives in Columbus. Enjoy seeing former residents making connections with each other because of the Morrison Store. Enjoy your connections. We were there for the auction but maybe I will come down that way again. I like those back country roads and your store sounds like a step back in time. Thanks for stopping by. My grandmother, who is now 95, grew up in Sycamore Valley..Have heard many wonderful stories of her days growing up there. Those old stories are so important as they are a piece of history that will be lost if not retold. You should write down some of those stories for your family. This is my husband’s family and the Morrison family was and still is wonderful people. So happy to see someone give them a little notairity. This is of an era long by and as everyone says, “those were the good ole’ days”. So happy that the family has noticed the story. That was such an enjoyable visit as my grandfather had a store in the mid 1900s and the Morrison’s store reminded me of times I spent with my grandpa in his store. This is a way to keep those stories alive for years to come. Thanks for stopping by. Do hope you are able to make some family connections. The older I get, the more important these seem. Good luck!